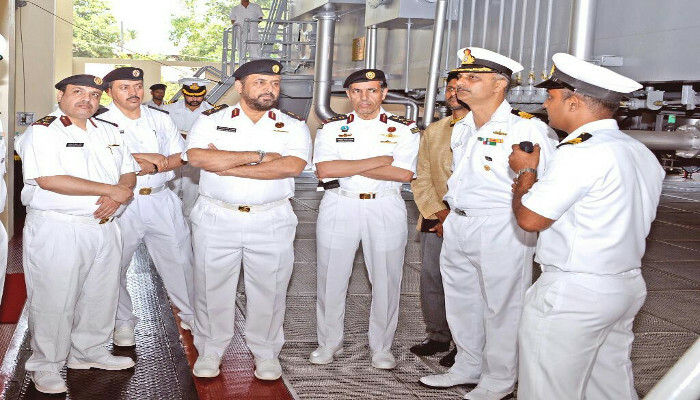 Staff Major General (Navy) Abdullah Hassan Al-Sulaiti, Commander Qatar Emiri Naval Forces (CQENF), accompanied by two staff officers from the Qatar Navy, are on a visit to Southern Naval Command from 01 to 03 April 2019. 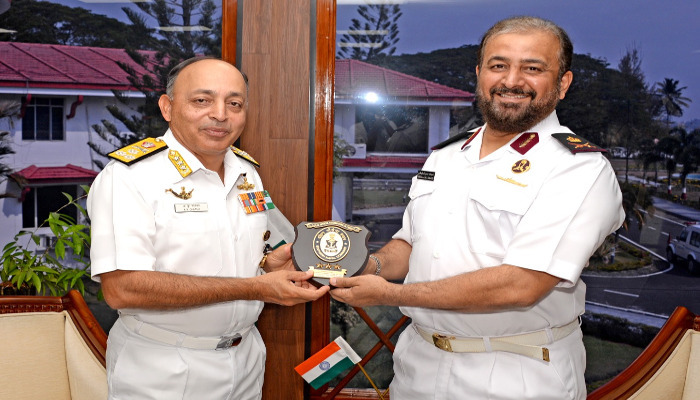 The CQENF had discussions with Vice Admiral A K Chawla, AVSM, NM, VSM, Flag Officer Commanding-in-Chief, SNC on 02 April 2019 on subjects of mutual interest to both navies followed by exchange of crests. 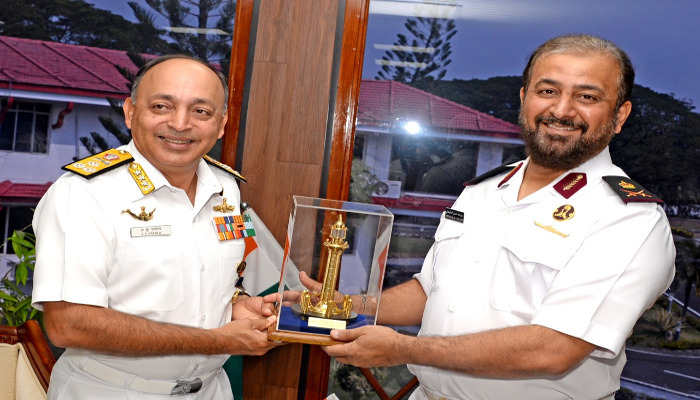 Major General Al-Sulaiti was then given a presentation on the various activities conducted by the SNC, which focussed mainly on training - SNC being the Training Command of the Indian Navy. 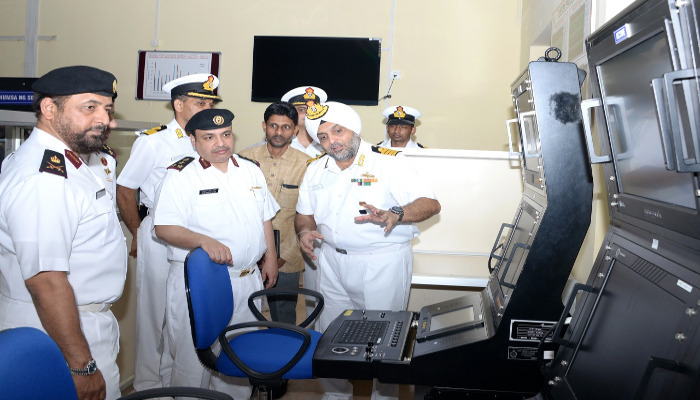 This was followed by an official tour of various training units and facilities at Kochi, including INS Dronacharya, Water Survival Training Facility, Damage Control Training Facility, Navigation & Direction School and Anti-Submarine Warfare School. 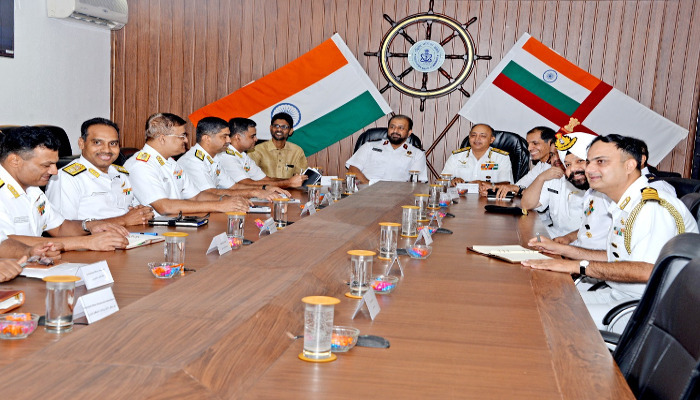 On completion of the visit at Kochi, the CQENF and his delegation will visit Indian Naval Academy, Ezhimala, during which he will interact with Vice Admiral RB Pandit, AVSM, Commandant Indian Naval Academy and also visit the various training facilities at the Academy.